Welcome to Meriano’s Bake Shoppe. New and exciting things coming down the pike. Thank you for being a part of our Family. We are the shorelines only full line bakery. We offer handmade baked goods from breakfast to breads, cookies to pies, and specialize in Italian pastries and special occasion cakes. We have been serving the shoreline with the freshest most authentic desserts and personal customer service since 1988. We are family owned and operated and through the years, our customers have become like family. We have made wedding cakes for couples that have returned for cakes for their children’s birthday every year. We have customers we see every week, every holiday, and every time they need a perfect dessert for that special moment. We invite you to stop in today and join the family! On the Streets of New Haven, at the next special event, at your company function, in your own backyard. The Cannoli Truck hand fills the most delicious and creative cannoli to your hand! Weddings, birthdays, anniversary, showers, bar mitzvah, corporation or any reason for a cannoli fix! Meriano’s Bake Shoppe opened in 1988. 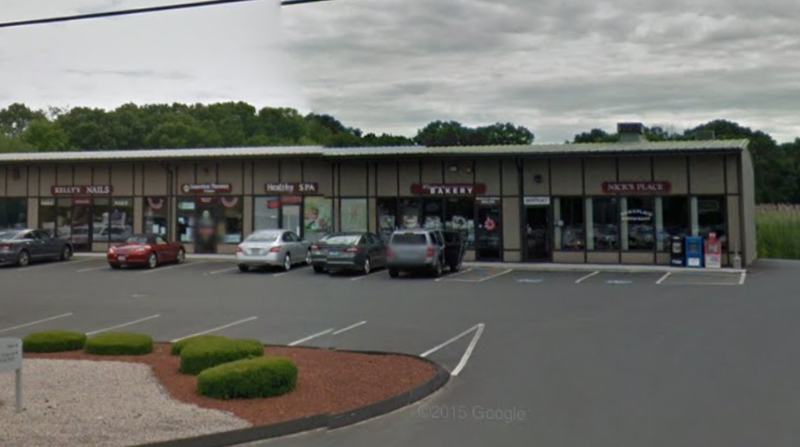 We began as a family run scratch bakery specializing in cannoli, Italian pastry, cookies and cakes. Our parents Anthony and Elizabeth Meriano were the backbone of the store. They put their hearts and energy into building a business they could be proud of and eventually leave to the children. Unfortunately, Tony and Betty (as they were better known) could not enjoy their retirement or the fruits of the labor. They were both taken from us too soon from a disease that has touched all of us in one way or another. Our mother passing from melanoma and our father from colon cancer. We spent every day of our lives together as a family. Growing up, working together and running our family business. Our heartache has been massive. But we continue on with our bakery, pouring our hearts into every baked good and every thing we do. We felt we needed to make their passing mean something more. We wanted to help other families not experience the pain we endured. We started selling our “leave the gun, take the cannoli!” t-shirts to benefit cancer research. The t-shirt success has been wonderful. Which leads us to the Cannoli Truck. When we decided to launch our mobile bakery truck we knew it needed to be for a greater purpose. Sure, we make THE BEST Cannoli and Pastry! And bringing it to more people outside our storefront is a great idea but what if along with our customers, could help make a difference? A big difference. So it got us thinking…. What if we put a Cannoli Truck on the road and donated part of the proceeds to cancer research? That could be monumental! We have partnered with Smilow Cancer Hospital at Yale New Haven, and one of the most talented and determined surgeons and researchers Dr. Daniel Boffa M.D. . This pioneer has not only made significant breakthroughs and beneficial findings but he is a hands on surgeon and doctor. His caring of not only the patient but the families of the patient has put him high on our personal list of phenomenal people. We are confident with the proper backing of both scientific and philanthropic needs, he along with his colleagues from Smilow Cancer Hospital at Yale New Haven will find a cure! We believe in hope. We need you to help hope; become a cure. Every time you step up to the Cannoli Truck you are helping us All be Closer To Free! Two numbers ~ one location! Our Bakery is now located at 200 Boston Post Rd. Madison Ct! Check out our new storefront! 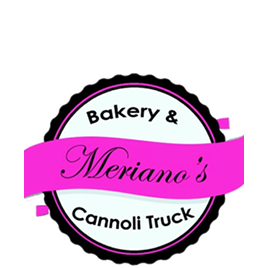 Copyright © 2019 Meriano's Bake Shope and Cannoli Truck. Powered by Webbersaur.us.